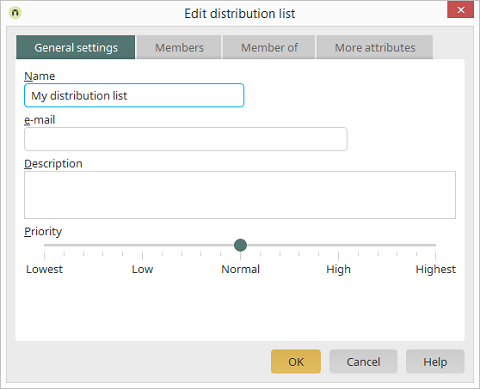 The name of the distribution list can be edited here. Enter a valid email address for the distribution list here. The distribution list can be provided with a description here. The priority affects the order of the lists in the User Manager. The higher the priority of an object, the higher up it will be placed in the list.